I’m privileged to do the write-up for my all-time favorite Christmas song, “I Believe In Father Christmas” by Greg Lake. I lobbied hard for this to be number one on the countdown but could only convince our editor to elevate it to number three. In fairness, this is J.D. Cook’s list and he did make a compelling case for the top two songs, which I won’t spoil by revealing here. You really do learn something new every day. 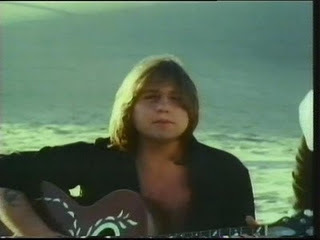 In fact while doing research into this song’s origin I discovered that this is actually a Greg Lake solo song and not an Emerson, Lake, and Palmer song which I had always believed because of its inclusion on their 1977 Works album. 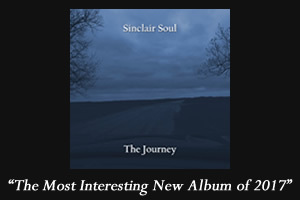 This new revelation does not diminish my love of the song one iota. Yes! I could not agree more and this further confirms my long sentiment about the holiday itself. It is not cynical to point out that most people just don’t seem to get the whole point of this magical holiday. Musically and melodically, the song is a masterpiece, with Lake’s finger-picked acoustic ballad complemented by ever-increasing orchestration and choral arrangements. Each verse is more intense than the last and the arrangement elicits all kinds of emotions, far deeper than the typical “feel good” Christmas song. I still think this is number one.